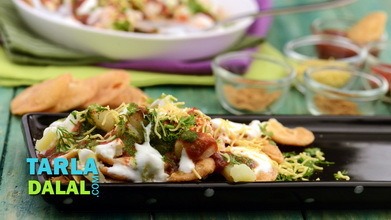 Moong Dal Dahi Vadas (Non-Fried) Video Amidst drum rolls and lots of pomp, we present a non-fried version of none other than one of the most popular chaats. 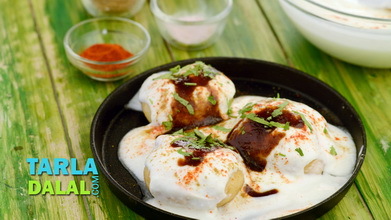 . . Dahi vada. 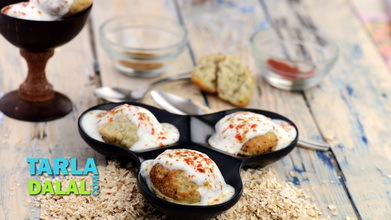 Be careful not to soak the wadas beyond 2-3 minutes, to prevent them from breaking. 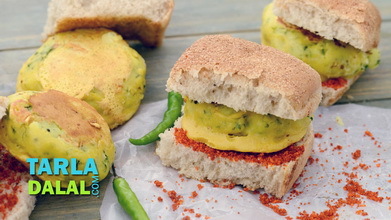 This snack will surely stir up your appetite when served with green chutney and sweet and sour chutney. 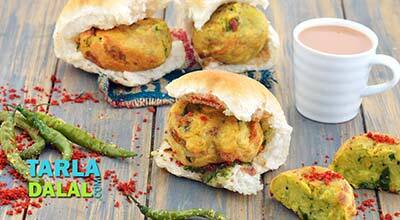 Drain, add the green chillies and blend in a mixer to a smooth paste, using approx. ½ cup of water. Sprinkle the fruit salt and 1 tbsp of water over it. When the bubbles form, mix gently. 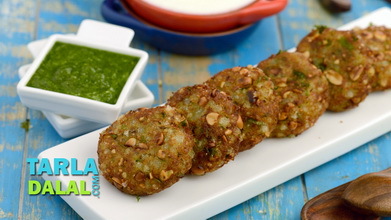 Pour ladlefuls of the batter on it to make 2 to 4 vadas at a time. Turn upside down, cover again and cook on a slow flame using 1/8 tsp of oil for 2 to 3 minutes. 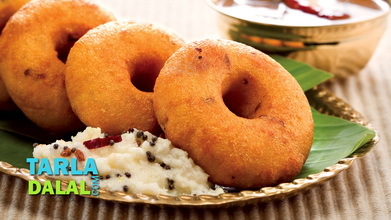 Repeat with the remaining mixture to make more vadas. Soak them in enough water in a bowl for 2 minutes. Thereafter, squeeze out the water and keep aside. 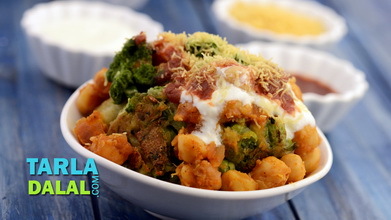 Combine the curds and salt in a bowl and mix well using a whisk. When the seeds crackle, add this tempering to the whisked curds and mix well. 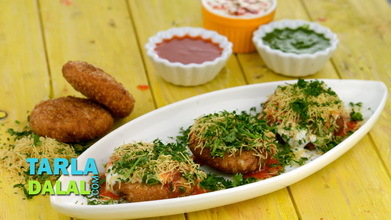 Place two vadas on a serving plate and spread a portion of the curds mixture evenly the over vadas. Sprinkle ¼ tsp of cumin seeds powder and ½ tsp of chilli powder over it.